A few short blocks away from the street car stop at Canal Street. 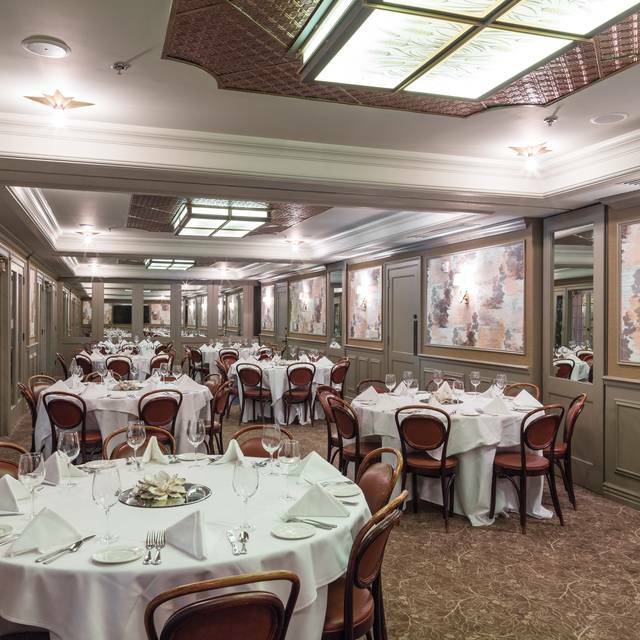 To learn more about Dickie Brennan & Co.'s catering options, please contact Sales at 504-274-1816. 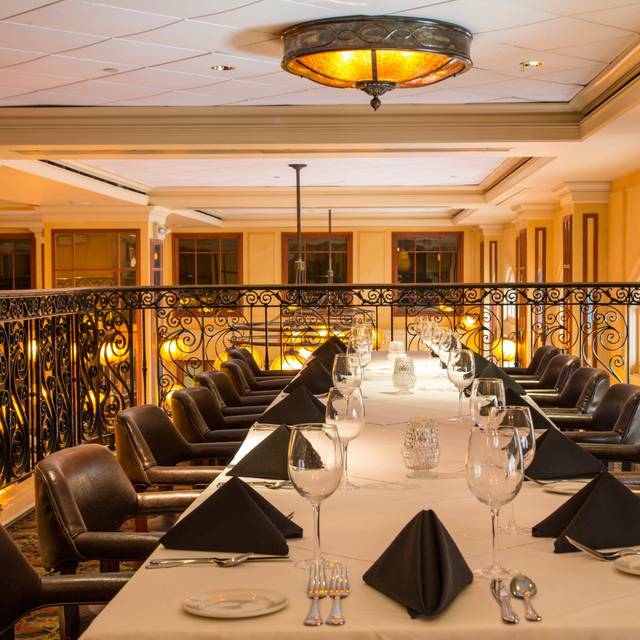 The second floor at Bourbon House is the perfect location for your next function with five private dining spaces. Bourbon House can accommodate parties of 10 to 200. 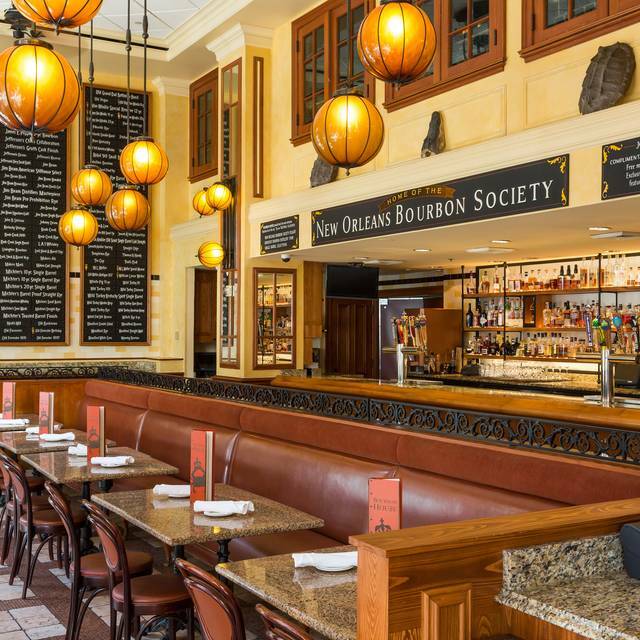 “Arguably the best oyster bar of any white tablecloth restaurant in New Orleans” per the Times Picayune, Dickie Brennan’s Bourbon House is all about local seafood. If it’s not in season, you won’t find it on the menu. 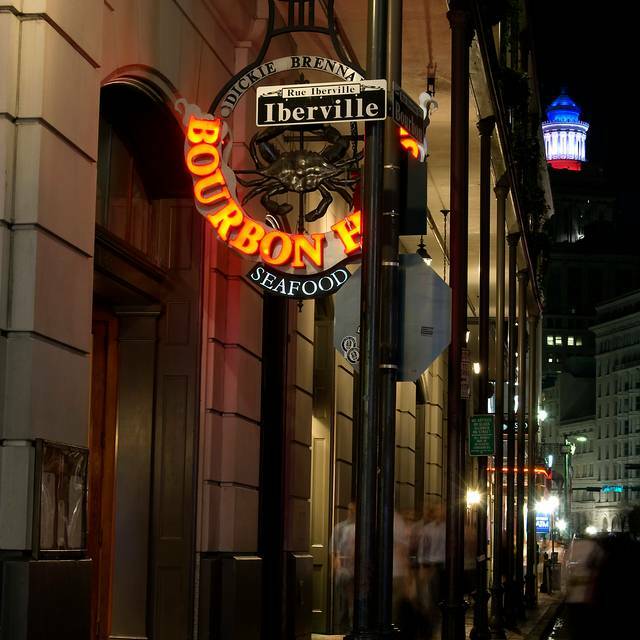 Enjoy authentic New Orleans dishes and oysters on the halfshell in a lively atmosphere overlooking Bourbon Street. Dickie Brennan and his culinary team have created an incredible menu of classic New Orleans dishes complemented by new favorites. 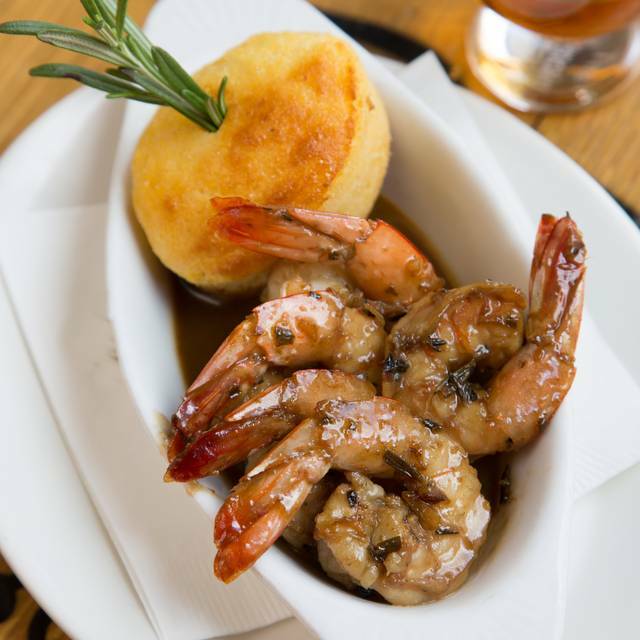 Signature favorites include Gulf fish on the Halfshell and New Orleans style Barbeque Shrimp. Bourbon is a central focus at the bar with 200 bourbons on the list. Bourbon House is the perfect place for a specialty cocktail or a straight pour of that hard to find small batch whiskey. 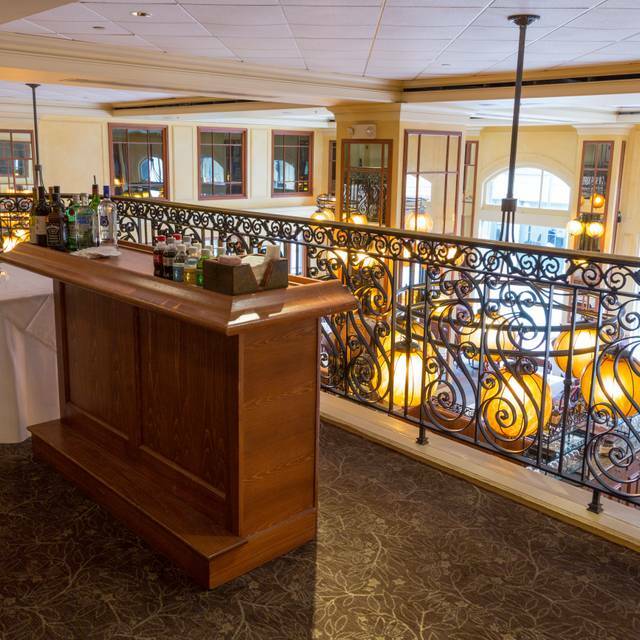 Reserve your table today for Mother’s Day and let us take care of the rest. Your mother deserves to be spoiled, and a nice meal with family is the perfect gift. And, to make her special day, a little more special, we treat all moms to a beautiful long-stemmed rose. Amazing!!! Terrell, Ariel, and Bianca made the experience unforgettable!!! Absolutely INCREDIBLE service!!!! There are a lot of great choices on the dinner menu, something for everyone. Menu provided was very limited and different than online menu. Chef was not willing to allow us to select from the online menu. This is the third restaurant we have been to this weekend. The atmosphere was good as well as the noise level. However, the food came in third of the 3 restaurants. The services was also mediocre. The waiters had too many tables. Overall the restaurant was average. I made a reservation for 8:30pm. We weren’t sat until 8:50pm and we saw several open tables and no one waiting ahead of us. The food was good but was missing the local flavors that its competitors offer. The charbroiled oysters with lump crab meat were fantastic but the other dishes we had tasted bland and “warmed up” rather than freshly prepared. I would recommend this restaurant for an after-work type spot; not great for special occasions. The food was good. The service not very good. Three of us had dinner. Appetizers and drinks served with no problem. When our entrees arrived there were two served. After about 5 minutes we were looking for our server to find out where the third entree was. Our server was nowhere to be found. We asked another server where the third entree was. She went to check on it. After about 10 minutes our original server showed up with it. No apology but a big attitude as if it was our fault. Was one of our favorite places, had our daughters rehearsal dinner there a few years ago. This visit was not good, we had a table of 6. . Fried shrimp and fries were soggy with grease. Fries inedible. Stuffed crab was cold and uncooked. Soup was hot . Redfish fish was good. Very poor service . We had late reservation so that may have been the problem. Told them it was our anniversary and it was not mentioned, which is fine , but not sure why they even asked on open table . The best oysters ever! Food was great, service was great. Will be back! Food was fantastic. Cocktails were fantastic. Service left a lot to be desired. Disappointing as in past experiences the service was great. Ordered corn and crab soup and spinach salad and coffee. Both soup and salad taste good. Coffee is awful. Salad serving is small. Service is okay but server forgot to bring a soup spoon and I only received a coffee spoon to finish my big plate of soup. The service is outstanding. . . the oysters were amazing but I would spend my time at the bar with cocktail food verses a full menu dinner. Again, service is great! I don’t leave reviews. But this was the bad. Service and food both were very poor. The warm bread was the only good thing of a $150. meal for two. The bread came after the soup appetizers were finished. The whole fried chicken was over cooked ,tough and dry. Had to hunt down a server to get a steak knife to attempt to cut this carcass that was served in two large unmanageable pieces. I would not go back for a free meal ! Siply one of our favorite places to go. The service is always very courteous and knowledgeable. The food was perfect! 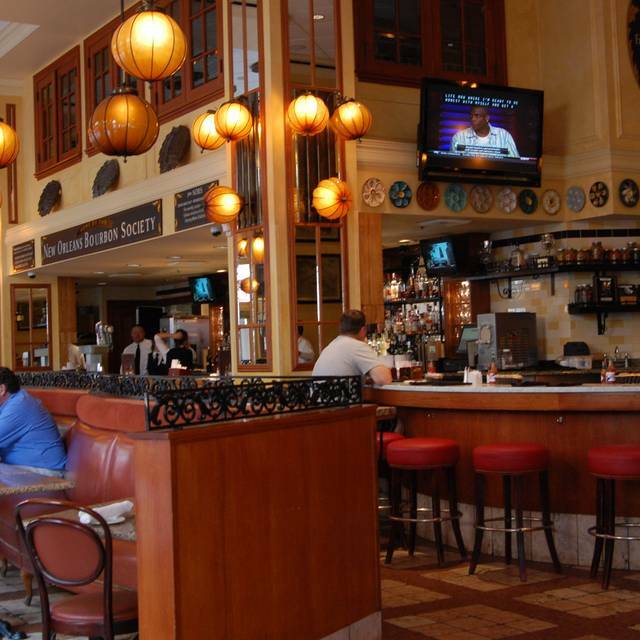 Bourbon House is a great place for casual dining on Bourbon Street with excellent food and service. They were very busy, but honored our reservation. The servers asked about our likes and dislikes before making recommendations. We started with the Louisiana Oysters on the Half-Shell which were large, fresh and delicious and very reasonably priced. I had the Redfish on the Half-Shell which was probably the best meal of our entire trip. The fish was perfectly seasoned and cooked and there was a generous portion of crabmeat with the lemon beurre blanc sauce. My dining companion had the filet mignon. While it was not initially served at the temperature he requested, that was quickly remedied and the waitstaff was appropriately apologetic. As good as the fish was, the frozen bourbon milk punch was even better and the perfect ending to a fabulous meal. We will definitely revisit this restaurant next time we are in New Orleans. Overall the food and drinks were not up to par with past visits. Would not recommend this establishment in the future. The duck burger is decadent. A bit pricey for lunch. Good cocktails. The appetizers are delicious! We had the crab claws and raw and charbroiled oysters! This was the highlight of our meal. Entrees were average and dessert took to long to come out after we ordered it. Overall, I would say great place for drinks and appetizers. Good service. Terrible wine list. Food wasn't great. Bourbon House was excellent all-around and a pleasant dining experience. The crispy Brussels sprout appetizer was fantastic (and very substantial) and we ordered a few other small plates. We were almost too full for our grilled oysters which were very well-prepared. For dessert we split chocolate pecan crunch which was extra-tasty. The bourbon milk punch is unique and the bourbon selection is stellar and well-priced across the board. Our service was a little slow but no so much that it was a nuisance. Overall a very enjoyable evening! The wait staff seemed very uninterested in accommodating our table of two. We had been excited about coming here for the first few days of our New Orleans trip but the wait was 1 hour and a half long. We finally made reservations and got in. Our waiter seemed so disconnected that he could have cared less being there. The crab cake had shells in it and was inedible. This restaurant has a great location and great ambiance but the manager's need to teach their wait and serving staff that it is an exciting time for all visitors and they should be kind, suggest recommendations and be involved with their customers. This restaurant was very pretentious. Michael and Kyle (?) took good care of us when we visited for Sunday brunch. Love the recommended crab fingers...YUM!! It was a relaxing time in a beautiful place. It was fun to be in front of one of the big windows in order to people watch. Thanks so much! Food was not hot when served. Staff seemed very confused. Expected a much better dinner. Excellent food and atmosphere. Would definitely go again. Good service, started slow but then was really good. Saturday night so they were packed. Overall, great restaurant. 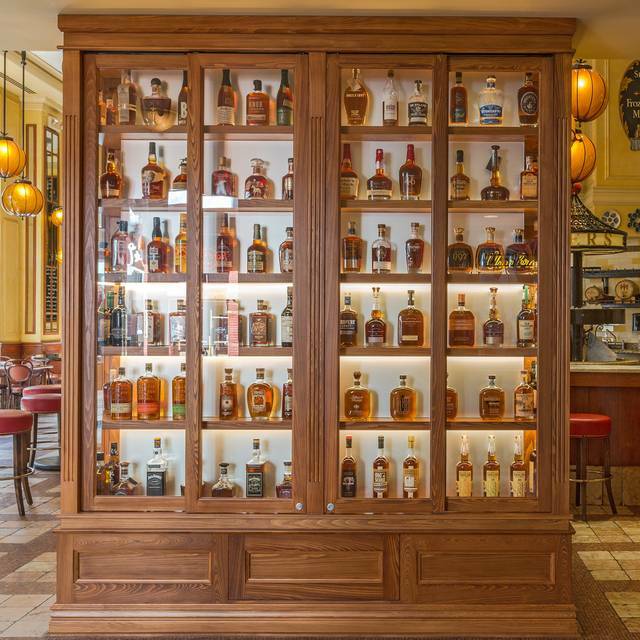 Bourbon House has a lovely atmosphere, attentive waiters and a comprehensive selection of bourbon. Unfortunately what we did not find with our first two entree choices was fresh food. I ordered the blackened tuna: it was old and fishy tasting. I asked my husband his opinion. It was the same. Our very nice waiter asked me if I’d like to try the redfish: that was fresh and delicious. My husband had the veal tips with crawfish and olive piccata: with the first bite he took he said it tasted old. I tried it and said I thought it was fine. So he ate more and it was fine until the last bite which also tasted old. Maybe the ends of the meat are more exposed to air so it affects the freshness? We didn’t say anything about his veal as we didn’t want to be total complainers. The spinach salads, veggies and carbs were very good. The wine choices and service were excellent. The Louisiana oysters were not real flavorful, but that must be a regional variation. Pacific oysters taste more like the sea. This is supposed to be one of the best seafood restaurants in the city, but they didn’t have many choices for local seafood. It is a high-volume business, so we were really surprised to find anything tasting old. It looks like food is flying out of the walk-in, into the kitchen then into the mouths of eager diners. We were in N.O. for four days, dined at four high-end restaurants. This was the most expensive and the only one that disappointed. After this night we ate at the local dive diner (shrimp po’boys!) near our hotel and were not disappointed. Better taste, better value. Excellent food. Service was a bit slow but it was Saturday night, and that is a hectic night for most New Orleans restaurants. The food was wonderful, but what really stood out was the service. My husband and I made reservations for 6:00 for our 1st wedding anniversary, and one of the managers noticed that we were dressed up and came to talk to us. He congratulated us and offered us two glasses of champagne on the house. We were grateful for his kindness and service, as well as for the rest of the staff at the Bourbon house. Would definitely recommend! Our waiter was outstanding, very knowledgeable about the menu, made recommendations which one of our guests chose. The overall atmosphere was phenomenal. 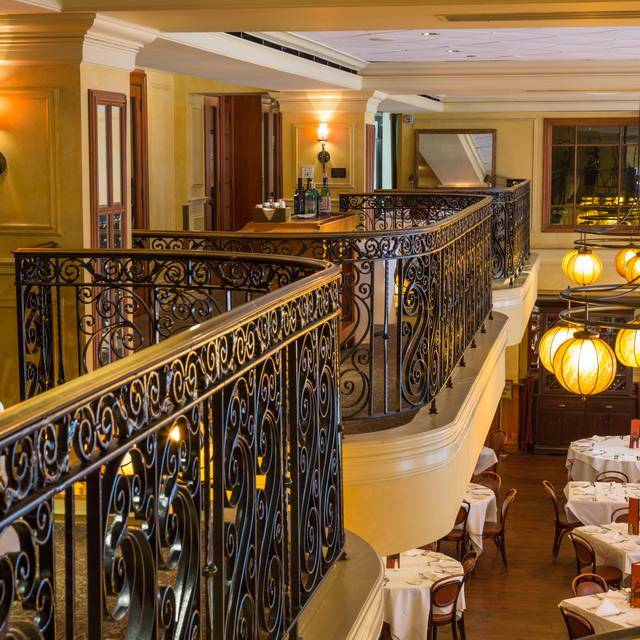 We will be back on our next trip to New Orleans, thank you for a wonderful dining experience. This was our second time to visit the restaurant and like our first experience the Bourbon House did not disappoint. From the starters to the delicious dessert everything was perfection personified! Never got bread that the other tables received. Only asked once for another drink order. Ordered a flight of bourbon that had to be taken off the bill because it was forgotten, and I really wanted the flight and was willing to pay for it. Half of the bourbons on the menu weren’t available. Manager looked uncaring of any patron or service to them. We have gone to Bourbon House on many occasions over the years. The last time was disappointing. It seems like the quality of the food goes down when they have to handle large crowds. Quality control deteriorates when they are very full. We were a party of six, and most were not very satisfied with their meal. I suggest attending in the afternoon, or when they are not full. I do not recommend this restaurant during a busy evening. The oyster bar or the bar area may be the best bet.